He was the love of her life. 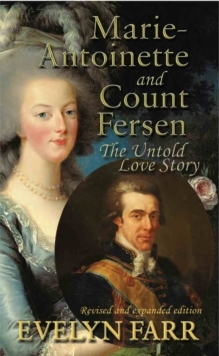 But her husband was King Louis XVI of France.For the first time an historian has compiled all the known letters between Swedish count Axel von Fersen and Marie-Antoinette, including six letters never before published. With unprecedented access to French and Swedish archives, Evelyn Farr has proven beyond doubt one of history's greatest romances. Axel von Fersen was Queen Marie-Antoinette's lover and loyal counsellor who gave her political advice from 1785 to the fall of the French monarchy at the time of the French Revolution. He organized the Royal Family's escape from Paris in 1791. 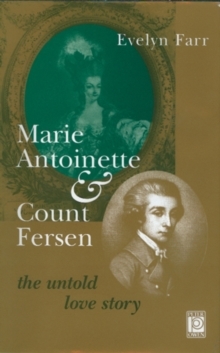 Evelyn Farr's revelatory work on the subject also goes some way to proving that Count Fersen was in fact the biological father of Marie Antoinette's two younger children. Farr unveils the logistics and practicalities behind the romance; the use of code and invisible ink, the role of intermediaries, secret seals, double envelopes, codenames and the location of Fersen's clandestine lodgings at Versailles. 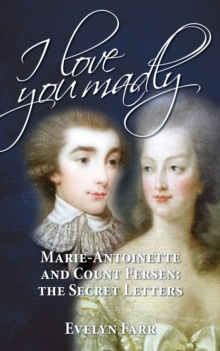 "I Love You Madly" is a meticulously researched and enjoyable study of a forbidden love at a time of revolution.The letters portray a rebellious and independent queen who risked everything and broke all the rules to love the man who succeeded in conquering her heart. "